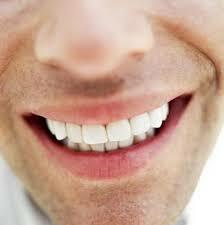 Our teeth lose their colour because of staining from food and drink we ingest. This happens to some people more than others and also depends on lifestyle choices we make. Certain liquids like red wine and coffee can stain teeth, and using any form of tobacco product can also result in widespread yellowing of the teeth, as well as leaving isolated brown stains. 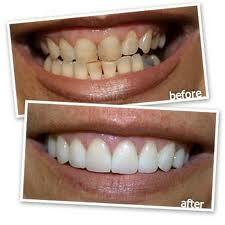 Teeth whitening procedures involve using bleaching gels to break down stains to make the teeth appear whiter. 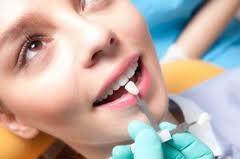 This is a relatively simple and common cosmetic procedure that most dentists will practice in-surgery. Some dentists may offer pre-prepared take home treatments in trays that patients can wear for longer. The bleaching ingredient in the gel is called hydrogen peroxide. The strength of the peroxide in the gel varies from three per cent to thirty per cent depending on the severity of discolouration. 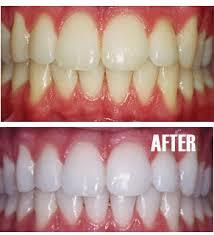 Take home kits are often lower strength as high strength gels can cause damage to the soft tissue, like gums and lips. It is always wise to consult a dentist before using any whitening products as certain products available for purchase from the internet can be too strong to use without professional safety equipment. Dentists will often use stronger gels when performing the whitening themselves as they have the necessary safety equipment and training. 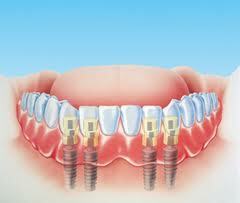 The procedure, if carried out by a dentist, is perfectly safe but some patients do complain of suffering pain in the teeth after the treatment. 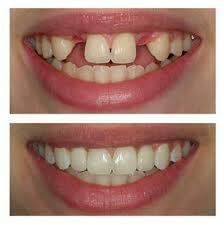 This is usually similar to the pain experienced by sensitive teeth and usually fades after a few days. 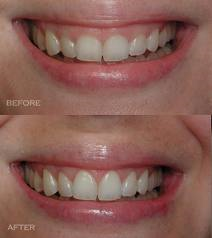 Teeth whitening can have different effects on different patients. 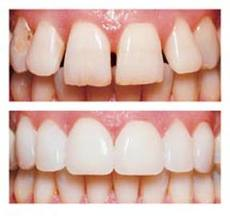 Some find that their teeth are whitened after just one session whereas other patients can have several treatments before there is any noticeable alteration. 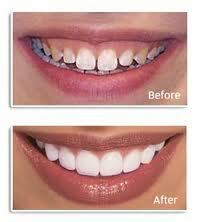 A dentist can talk you through the various whitening treatments available at your next six-monthly appointment.